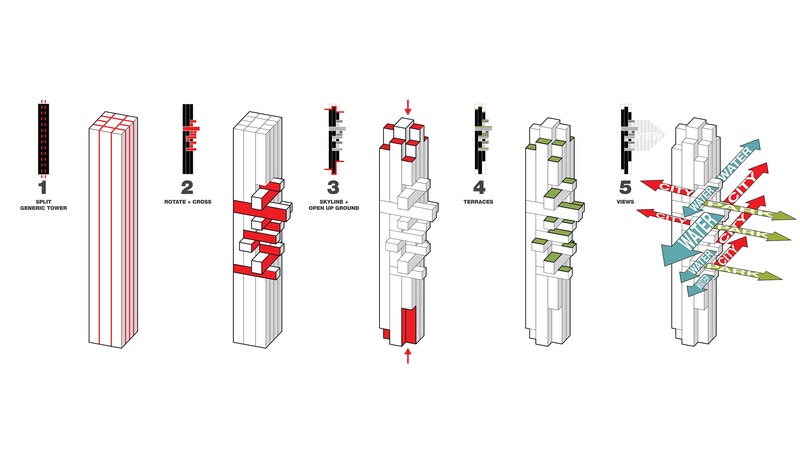 A new typology for vertical living reaches out to engage the space of the city. 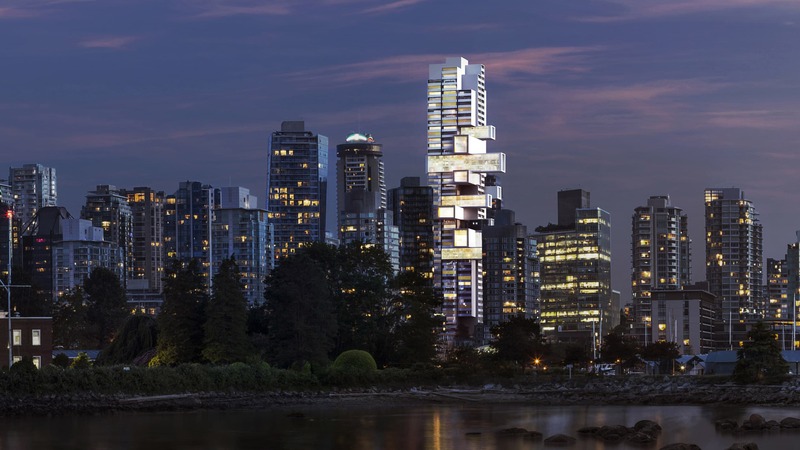 Vancouver possesses a unique balance of urban conditions surrounded by spectacular nature that provides fertile ground for envisioning new possibilities for future living in a cosmopolitan and environmentally-friendly city. 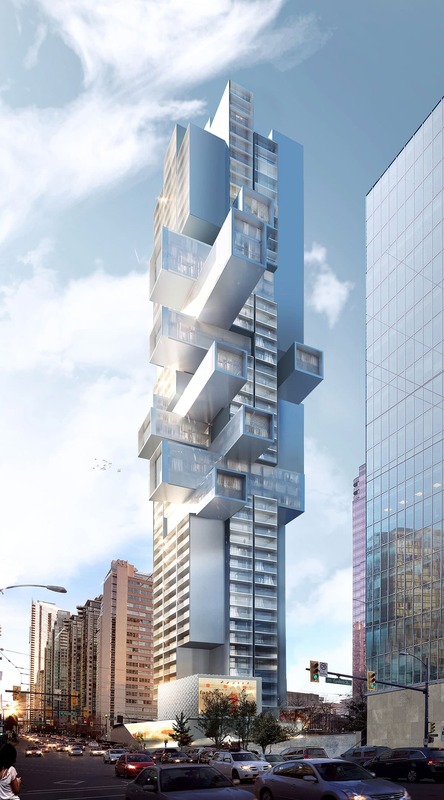 The design for this building exemplifies an ambition to reconnect architecture with the natural and civic environment and go beyond the hermetic confines of towers that increasingly inscribe our lives. 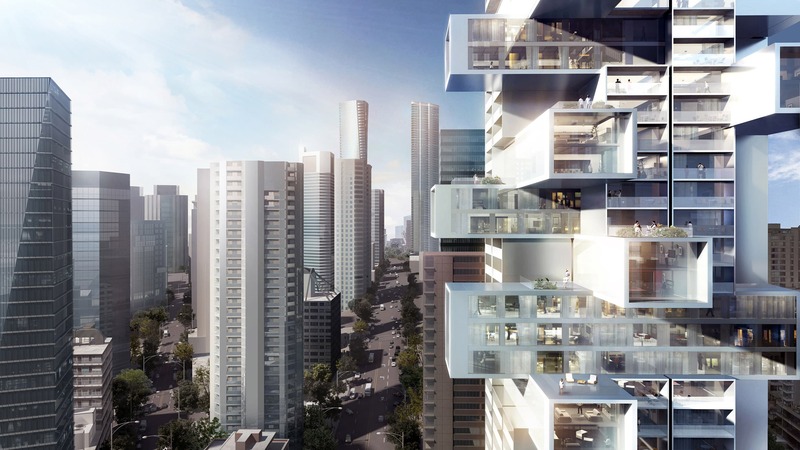 The vertical offset of the apartment modules minimizes the footprint of the tower and liberates the ground to provide an open public plaza for residents and citizens alike. 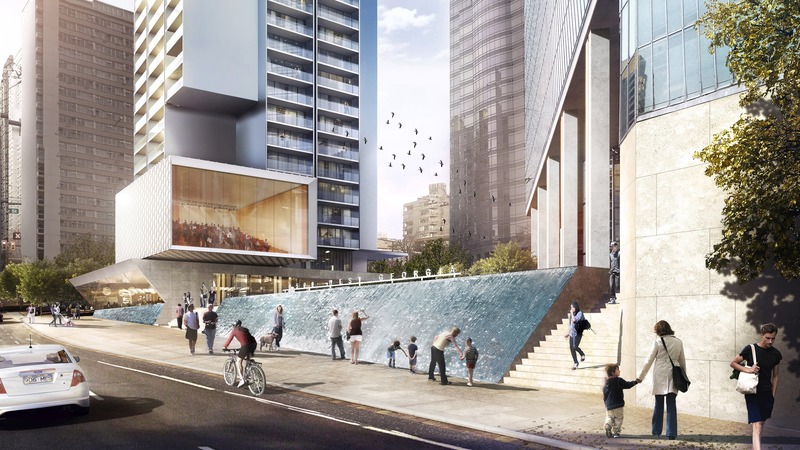 An amplified reinterpretation of the existing water cascade along West Georgia builds on the strong architectural heritage of the site, while multiple crossing paths ensure urban permeability. 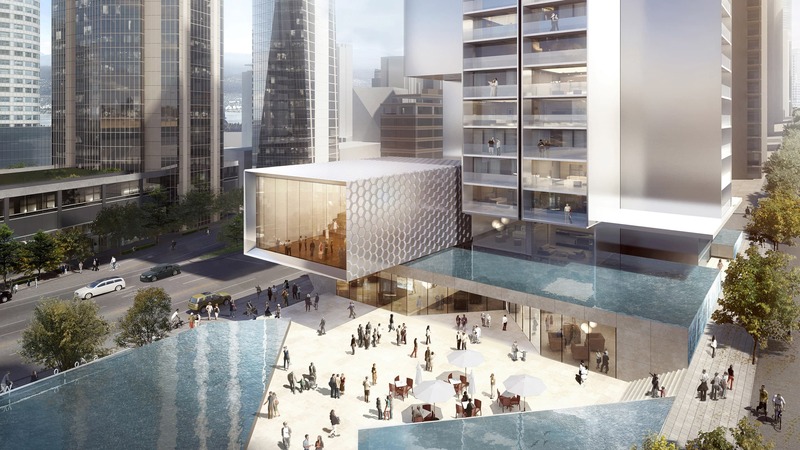 Civic amenities are embedded around the central plaza and the extensive waterscape to engage the community and contribute to the network of downtown green and public space. 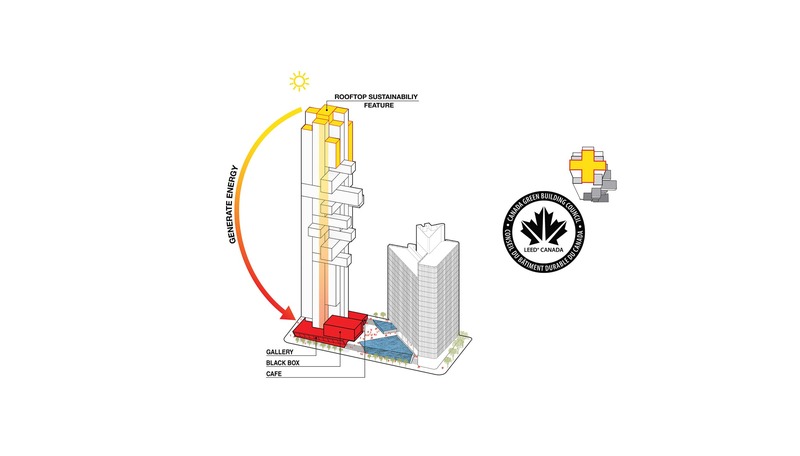 Sustainability strategies for passive and active energy savings are integrated with the architecture to target significant reductions in energy consumption and aspire to achieve LEED Platinum. 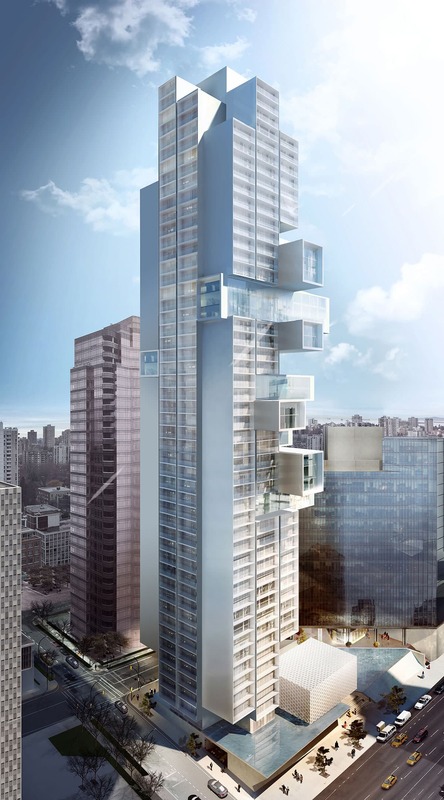 Renewable energy sources at the top of the building’s sculpted crown generate 100% of the energy for the public amenities at the ground, creating a new model that visualizes sustainability and gives carbon-free space back to the public.